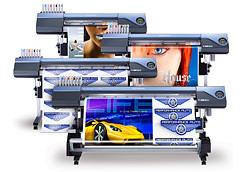 Allied Graphics are premier producers of high quality, large format graphics and full colour prints. We have years of specialist experience in providing innovative graphic solutions for an expansive array of purposes such as retail displays, marketing suites, trade shows, exhibitions, point of sale, office and hotel receptions. Our quality is superb, our service is second to none, our turnaround is fast and most of all our prices are very competitive and we can even cut your posters to a custom shape in minutes. If you have an idea and want some advice on how to make it happen contact us to discuss how we can make your posters stand out from the crowd.